Auschwitz was an extremely large complex of over 40 sub-camps where desperately needed rubber and other materials were produced for the German war effort. The three primary camps were Auschwitz I, the main camp, Birkenau, also referred to as Auschwitz II, and Monowitz, or Auschwitz III. The main camp and Birkenau were used primarily for inmate housing while Monowitz contained the factories, including IG Farben, where they worked. Though the German concentration, labor and transit camps were not vacation resorts, it seems they provided adequate temporary living conditions during most of the war, Auschwitz included. The exception was during the last few months of the war when conditions deteriorated greatly in some of the camps due to the allied advance and subsequent overcrowding, that they could not be considered habitable by any reasonable standard. Regarding Auschwitz, it is important to point out what many tend to conveniently overlook, and that which further erodes the longstanding myth that homicidal gas chambers were employed in an effort to exterminate Jews. 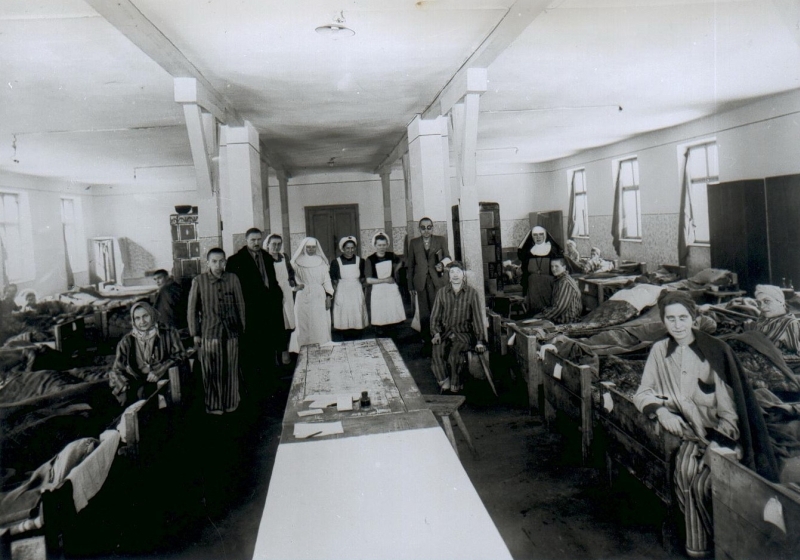 Along with a hospital and post office, there were several recreational and other other facilities available for use by the prisoners, including a swimming pool, cinema, library, kitchens, areas for music, art and sports and even a brothel. […] the payment of scrip that could be used in the camp canteen (which offered cigarettes and other low-value trifles for sale), and free visits to the camp bordello (which opened in the Monowice camp in 1943). The prisoner swimming pool is not always shown to visitors who tour Auschwitz and, when it is, they may be told that, yes, it was a swimming pool, but only for the SS, or that, no, it was not a swimming pool, but rather a water reservoir constructed for fighting fires which was built in the shape of a swimming pool. In another odd revision of the story it is claimed that the pool was originally a water reservoir that was converted to a swimming pool for use by the SS. 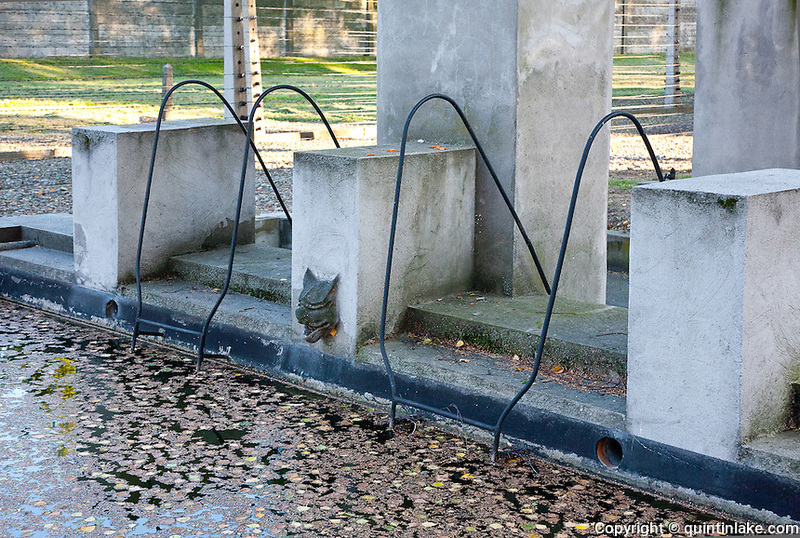 Inmate swimming pool at the Auschwitz main camp showing the diving board platform and starter blocks. The prisoner barracks can be seen on the left while the perimeter fence is on the right (click to enlarge). Besides the obvious contradiction of the Auschwitz tour guides and historians, the claim that the swimming pool was not a swimming pool does not seem to ‘hold water’ when one examines the photographs and asks why a fire fighting reservoir was built in the shape of a swimming pool, complete with swimming pool amenities including decorative fixtures, a high dive, starter blocks and multiple ladders and steps leading into it. Likewise, the claim that it was a swimming pool, but only for the SS, makes no sense whatsoever when one considers why the SS, who were quartered on the other side of the camp, would want to swim in a pool which was located within the prisoner barracks area where they would be exposed to angry mobs who would have liked nothing more than to drown them in their own pool for sending their family members to the gas chambers. There is also a very nice panoramic view of the pool available as a KML file which you can view in Google Earth if you have it installed. Stanislaw Bialas: The pool was pretty deep, and you could drown if you didn’t know how to swim. But if you paddled with your arms and legs, you could stay on the surface. We were in the water about 5 or 10 minutes. Adam Jurkiewicz: There were inscriptions in Hebrew over the door, and there was a big room inside with a swimming pool, where they let us bathe. The working hours were modified on Sundays and holidays, when most of the kommandos were at leisure. Roll call was at around noon; evenings were devoted to rest and to a choice of cultural and sporting activities. Football, basketball, and water-polo matches (in an open-air pool built within the perimeter by detainees) attracted crowds of onlookers . It should be noted that only the very fit and well-fed, exempt from the harsh jobs, could indulge in these games which drew the liveliest applause from the masses of other detainees. 40.24 A swimming pool was also built for non-Jews. Many other camps had swimming pools as well, including Ravensbrueck, Theresienstadt, Bergen-Belsen, Esterwegen, Ebensee, Treblinka and Mauthausen. Unless there were threats of physical violence breaking out, there was no forced segregation by the camp staff that i am aware of in any of the camps. While different ethnic groups may have preferred to gather among themselves, i have found no evidence that prisoners were segregated by the SS, whose presence in the prisoner areas of the camp appears to have been minimal. (in all of the photographs of the camps during the time they were operating normally, one often has to look carefully to find any SS staff at all). Jews and others seem to have been treated equally and treated well for the most part, with the exception of the time period toward the end of the war when conditions in the camps became deplorable because of the pressure being applied by the allies. During these last days of the war, hierarchies developed among the prisoners in some of the camps and food was denied to the lower classes. 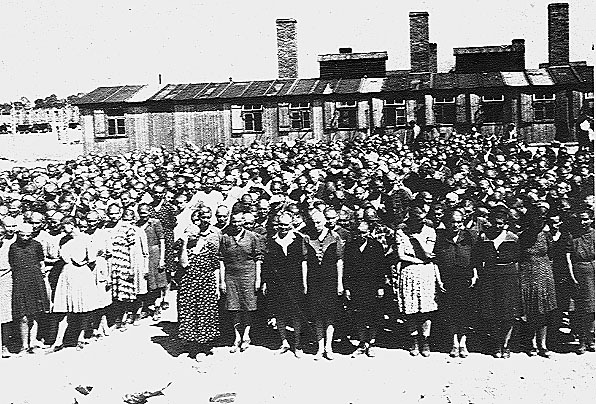 Again, it is not my intention to assert that the German concentration, labor or transit camps were tantamount to resorts, nor that all of the prisoners had unrestricted access to all of the camp facilities all of the time, however in order to better understand what Auschwitz was really like, we cannot simply ignore the fact that 1), the aforementioned recreational facilities existed; 2), these facilities were located in the prisoner barracks area and 3), that their presence is not entirely consistent with a facility where the primary purposes is alleged to have been the mass extermination of the European Jews and other undesirables. Considering all of the land available at the Auschwitz-Birkenau site, including the separate area were the SS were quartered, it seems highly illogical to posit that such facilities were built for use exclusively by the SS.